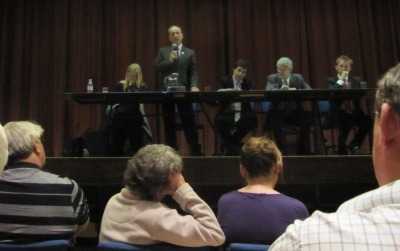 Five of the Six candidates to become MP at the Oxford West and Abingdon constituency were there at the hustings. The candidate from the Animal Protection Party did not turn up. His partner is very ill. He has stood in this area, although he has never visited Abingdon, because of his strong objection to the animal experimentation at Oxford University which he sees Dr Harris as supporting. They have had a number of hustings together and this was the last of the tour. 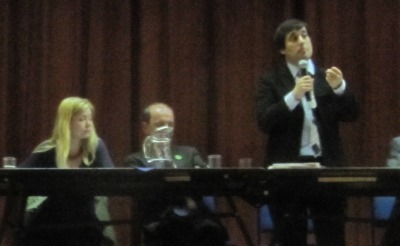 Green Candidate, Chris Goodall, did a good job promoting Green issues during the campaign, and at the hustings praised fellow candidates on some issues, and said where he thought the 3 main parties were not getting it right. 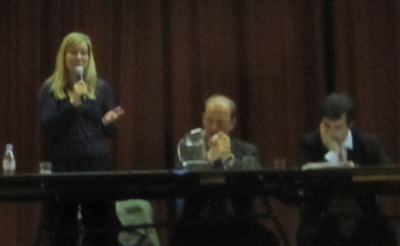 Nicola Blackwood was in agreement with him on the need to tackle climate change, the most numerous issue from Abingdon questioners. She has enjoyed the three and a half years on the canvas trail and hoped to carry on canvassing people if elected. Last time I saw her speak was at the selection in November 2006. Ukip candidate, John Williams, said he was not a practised speaker, or politician, but came out with some good lines. He said that if the next government does not produce the most unpopular budget ever then they are not doing their job. 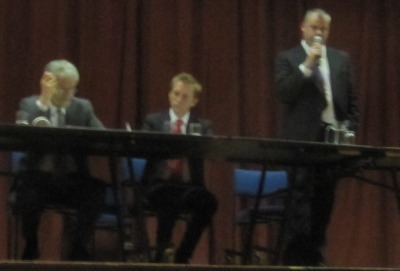 Richard Stevens, the Labour candidate, sat alongside. He was born on the day Margaret Thatcher came to power – something he described as ‘a painful experience’. He sounds like a hard working Oxfordshire County Councillor. So we are lucky to have all these good candidates to choose from. Nicola Blackwood commented on one of Dr Harris’s pet campaigns – putting parliament back in control – that she would like to be able to support him in this but they could not both be in parliament together. 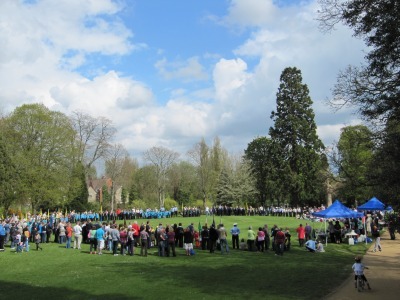 There was a lot of agreement in this hustings put on by the Church in Abingdon. The hall was crowded, and we were all missing the leaders debate on TV – which was a shame, but these candidates are more important to us than the leaders. One of them will become our MP for the next 4-5 years, and this was a good opportunity to see them directly. Two new businesses are about to open in the Abbey Shopping Centre, formerly known as the Bury Street Precinct. 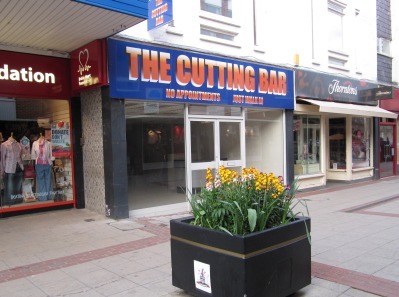 The first new business is where Klick used to be, and is called The Cutting Bar. 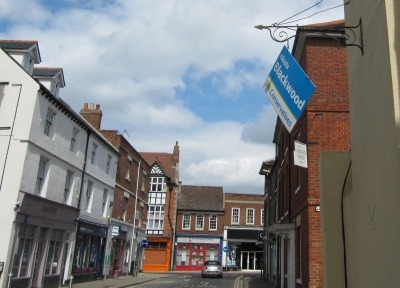 They already have branches in Didcot and Wantage and a variety of other shopping centres. It is a unisex hairdresser which says “No appointment” “Just Walk In”. 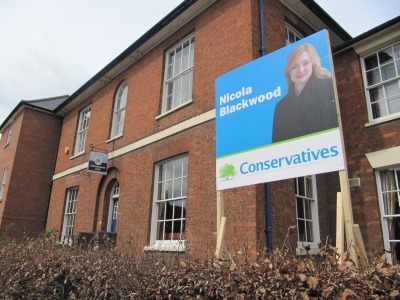 The main challenger is the Conservative Candidate Nicola Blackwood, seen here on a very large poster outside the Conservative Club in Ock Street. This election is interesting because things are difficult to predict. Normally the big newspapers pick a candidate, and back them until they win. They like the ding dong of a two party system. It is uncomplicated. They can play one against the other, then the other against the one. However after the first televised debate where three leaders met, the third man came through as the winner, and those newspapers tried but failed to put him down. Those newspapers and the conservatives now warn of of a hung parliament to try to get people back on side. 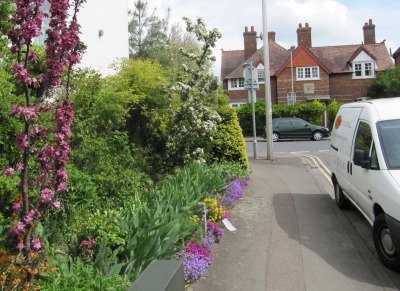 I can’t see the rose yet on this Abingdon street corner but will go back again in a week or so to check on progress. A lot can happen in a couple of weeks. 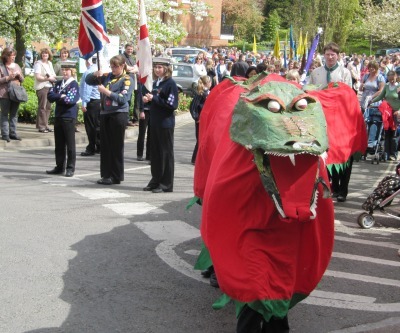 The parade – comprising many young uniformed groups – started in the Old Cattle Market Car Park. 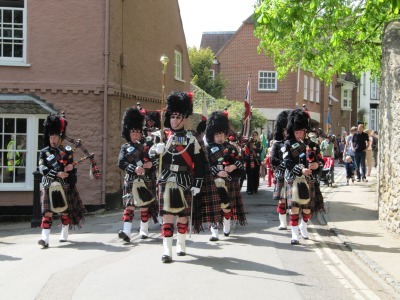 The Oxford Caledonian Pipe Band then led the rest of the parade round and along Abbey Close. Unlike last year it did not go to St Helen’s Church. 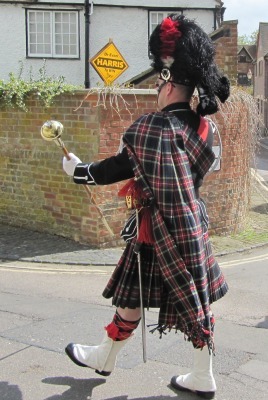 Instead they saluted the dignitaries at the entrance to the Abbey Gardens. 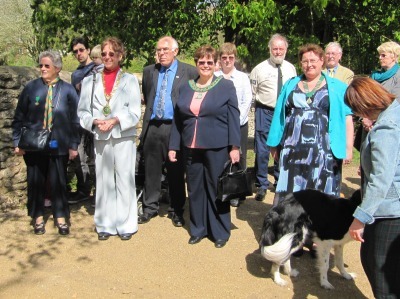 Dignatories included… the Mayor, the Chair AND Vice Chair of the Vale District Council, and some senior scout and guide leaders. Revd. 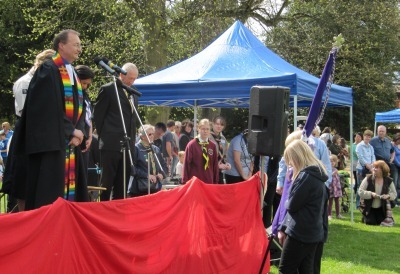 Richard from Trinity Church blessed a new scout district flag.